The Journey™ Water Purifier Bottle is a water filter bottle for everyday use, travel, all outdoor adventures, survival and emergency preparedness. 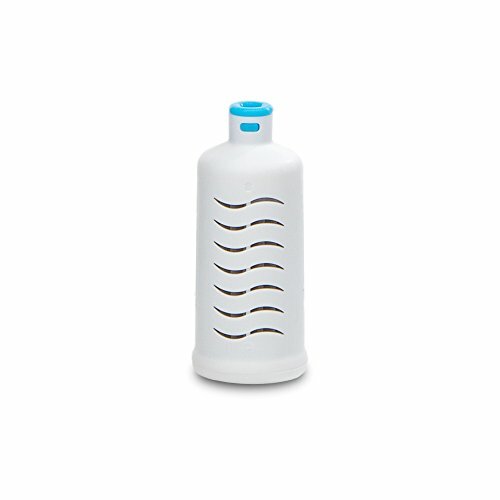 The filter removes bacteria, giardia and cryptosporidium and even virus! Makes any non-salt water source safe, drinkable water. Drink confidently from lakes, rivers, streams when camping, hiking and on all outdoor adventures. Use in emergency situations, as you can safely drink even flood water. 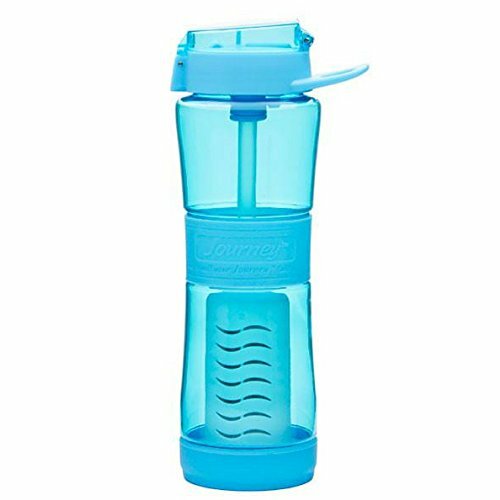 This is a great water bottle to use every day. Take it everywhere! Restaurants, parks, schools and just out running errands. It’s a great travel bottle to take to the airport, use onboard cruise ships and in countries across the globe. You’ll always know you’re consuming safe, clean drinking water. Even in third world countries where virus may be present in the water – you’re safe. Sagan Life water filter test results have been performed by independent water laboratories. Each filter purifies 250 gallons of water. 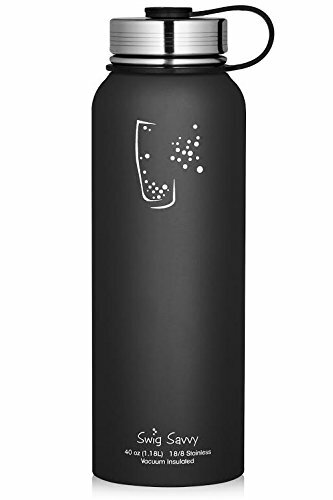 The bottle has a 24 oz capacity and comes in Orchid and Sky Blue and are BPA Free. The best water purification bottle you can own as your personal water bottle. Awarded three U.S. Patents for its innovations, The Pure2Go Traveler's Kit combines performance, portability and convenience in a compact, durable travel pouch that takes up minimal space in a suitcase or backpack. 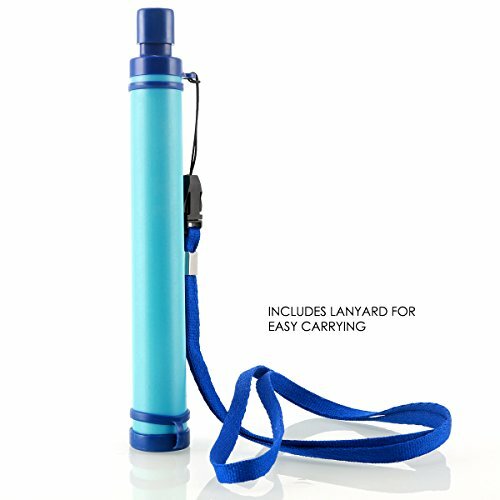 The 27 ounce collapsible source water bottle screws directly into the bottom of the Pure2Go providing safe, clean purified water for one or more people without any concern about cross contamination. 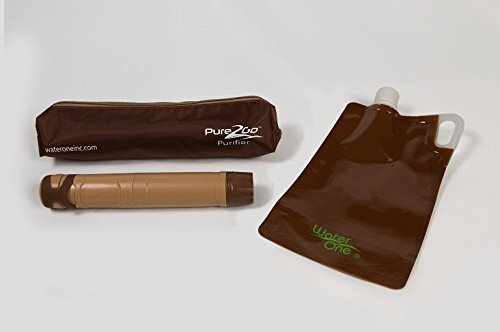 Whether filling up from a hotel water tap in Central America, a contaminated lake or stream in India, or even a mud puddle in Haiti, the Pure2Go Travelers Kit ensures you will have safe, purified water anywhere you journey or adventure. Tap water may look clean, it can contain potentially harmful contaminants picked up on its journey through aging pipes. 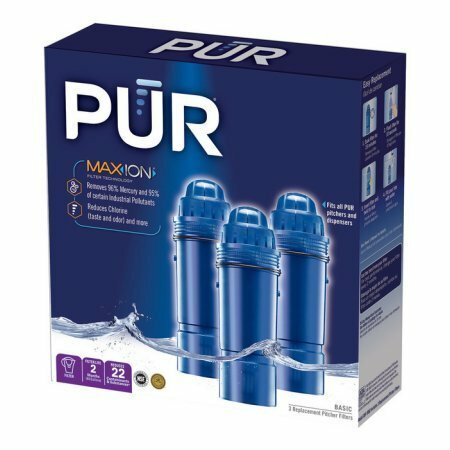 PUR filters with MAXION technology reduce these contaminants MAXION Filter Technology is our commitment to superior filtration performance and innovation, by using activated carbon and ion exchange to reduce more contaminants than any other brand. The Journey Safe Water System combines the Journey LCD water purifier with the versatile SteriPEN FitsAll Filter and BPA-Free 1L Nalgene® bottle. 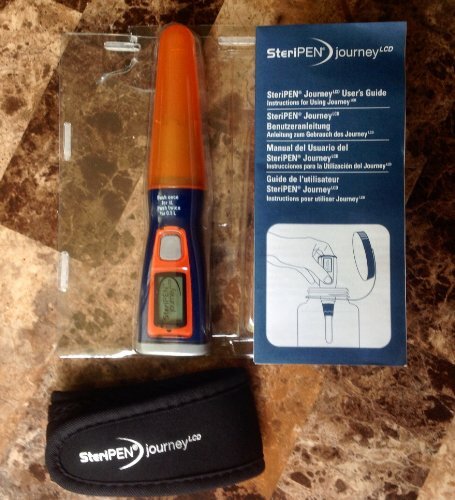 Journey's ultraviolet light destroys viruses, bacteria and protozoa in 0.5L (16oz.) of water in 48 seconds or 1L (32oz.) in 90 seconds. The LCD displays treatment time, battery status and usage of the 8,000 dose UV lamp. The FitsAll Filter removes debris and particulates, also working as an adapter, allowing the Journey to mate with the Nalgene bottle. Upgrade quality and service, more reliable and stable car humidifier around for you: 1. No need filter sponge wick any longer, so it will not be blocked by oily essential oil, and you can replace oil type easier. 2. Stronger steam machine, it will produce more steam and works more stable, support more types of oil, better service ability. 3. Better material, have a try, you will feel the diffuser made by higher-grade material. 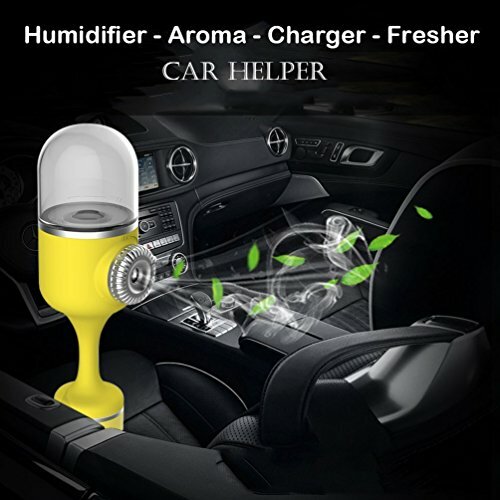 Why we recommend a car humidifier oil diffuser to you? 1. Humidifier: a humidifier can produce super weeny water drop and oxygen anion. 2. Healthy: super weeny water will take away dust and bacteria, increase moisture of your surroundings, especially useful for a new car. 3. Safety: oxygen anion can increases lung capacity and make you feel energetic, aroma sweet will let driver happy. 4. Others: waiting for you to discover. Specification: Volume: 70mL. Size: Length about 240mm(9.4 inch), 150g. Power source: Car plug. USB charger ports: 2 (max 3.1A). Work time: 1 hour auto off(safety protection). Remarks: Pls keep enough water into the water tank and put it vertically so that the diffuser will work better. 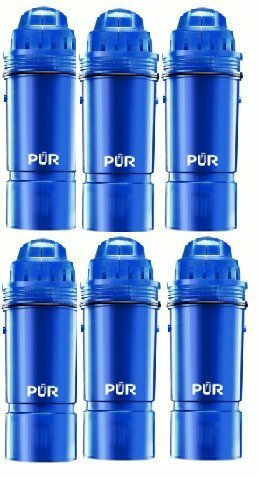 Compare prices on Journey Water Purifier at ShopPlanetUp.com – use promo codes and coupons for best offers and deals. We work hard to get you amazing deals and collect all available offers online and represent it in one place for the customers. Now our visitors can leverage benefits of big brands and heavy discounts available for that day and for famous brands.